1980 5th revised edition trade paperback as shown. Tight spine, clear crisp pages, foxing on page edges, no writing, no tears, no spine creases, smokefree. 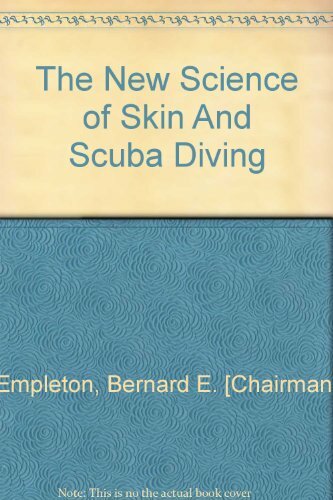 A COMPLETE REVISION OF THE WIDELY USED "SCIENCE OF SKIN & SCUBA DIVING"
Published in 1978, this is a project of the Council for National Cooperation in Aquatics. Ample photographs and illustrations guide the new diver through the abc's of scuba diving as well as the more advanced techniques of safety and survival in the unfamiliar and hazardous environment of the underwater world. A must-have resource also for advanced students and teachers of this very popular recreational sport. Dive Resort Philippines - All Diver Resorts and Divecenter in the Philippines. With exact location on the map! The best Scuba Diving Equipment & more! All you need for Scuba Diving, Snorkelling, Swimming and going to the beach! © 2019 Dive Equipment Created by: Kaiser-Kaplaner | Sitemap - All rights reserved!